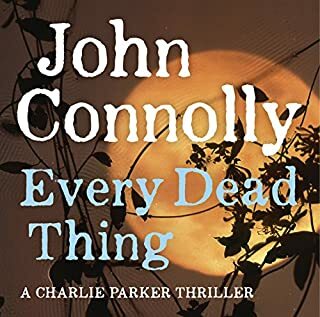 If you get to this novel via Danny Boyle film adaptation, with its fabulous soundtrack, memorable drugg-addled characters and grim humour, be prepared for something quite a bit darker in the literary source. If you haven't come across it: this novel is about drug addicts in Edinburgh in the 1980s. The structure of the book is very episodic because there is really no coherent story to their lives: they move from 'scoring' to 'scoring'; from prison to dodgy deal and back to prison, from kicking the habit to relapsing, from casual sexual encounter to the next, from pub brawl to skanky flat and back to the pub. So the loose structure of the book mirrors the aimless drifting that is the result of drug dependency. This episodic structure is composed of characters talking or thinking. It's not always immediately clear who is talking, but it really lends a grim authenticity to all the voices. One of the main benefits is also that there is no overriding, omniscient narrator who would pass moral judgment. That's neither necessary nor desirable: the characters bare their soul in such a matter-of-fact way that you feel you are overhearing conversations or monologues. The book has a larger and looser cast of characters, who are still memorable and have their nicknames, but they are more spread across the narrative rather than in control of it. No one is in control of anything. Above all, this is not a buddy-story. Friendship has no place in a life that is ruled by drugs. It's one of the main differences to the film, and it is perhaps the grimmest truth of the book, that the drug-infused fantasies and sensations which the characters crave always leave the possibilities of reality behind, whether it is the true rewards of friendship, family or love. This is a gradual revelation rather than some sort of moral stamp impressed upon the reader. Be prepared for quite a lot of violence and physical detail about the reality of drug abuse; AIDS features, miscarriages, pimping, and quite a lot about bowel movements, and very grim deaths. The decay of 1980s Scotland is palpable without this being a social-problem novel: there's simply nothing to go 'clean' for. It makes the film look like a commercial mass-product that makes decline somehow cool; the book has a harsher edge. If you are squeamish at all about four-letter-words liberally scattered across every sentence in lieu of more imaginative adjectives or nouns, you'll have to give this a miss. 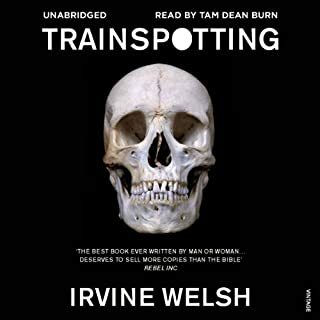 What makes this audiobook outstanding is that it really helps with the Scottish vernacular, pronunciation, drug slang, etc etc. 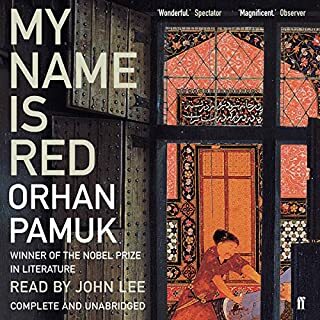 I found it virtually impossible to read the book since it is often written in a phonetic transcription of this language - but having Tam Dean Burn make it come alive in his melodic voice really made a difference. You still have to focus quite hard to follow but you can follow and it's really engrossing. I came out of this quite pensive, and in need of something upbeat, but I am very glad that I listened. It is a fantastic achievement in terms of performance and a real tour de force of a book. I bought this because I was intrigued by the setting. Unfortunately all we get are cliches about the Far East that add little to plot and character. 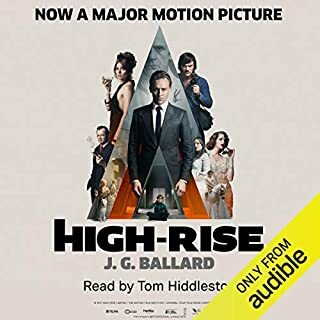 Character in particular is so poorly done that if I hadn't been on a very long car journey without any alternative distraction I would not have finished this audiobook. 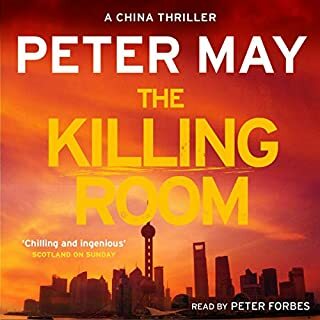 The relationship between the Chinese detective and the female US pathologist gets in the way of the investigation and both characters aren't even remotely interesting people. In fact very little of the story is spent investigating the crime; 'get back to the bodies', I found myself grumbling all the way. But when that happens, the pathology material is handled in a rather clunky, obtrusive knowledge-dump fashion that a better writer would have known how to integrate more smoothly. Yes, there is a twist in the story at the end but enduring 12 hours to get there wasn't worth it. Not a series or a writer I will ever be returning to. The reader tries his best but one gets a sense even he is bored. Jack Reacher lives for the moment. Without a home. Without commitment. But he has a burning desire to right wrongs - and rewrite his own agonizing past. When Reacher witnesses a brutal kidnap attempt, he takes the law into his own hands. But a cop dies. Has Reacher lost his sense of right and wrong? The beginning is very intriguing and for the first half of the book the story is well-plotted and gets a little more complex with a second plot and a few cul-de-sacs. 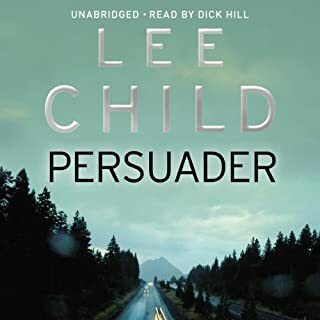 Reacher stumbles across an old enemy he thought he had despatched; this is the second round and this time he's got to get it right. Trouble is, the heavies are a little too steroid-addled; the love interest has at best two dimensions; the sub-plot is predictable; and the real baddie messes with women in a manner that one might expect from a trashier writer relying on a more outlandish modus operandi. there's a near-drowing scene that's really well done, though. It's okay but not his best - it sags in the middle. Fans will still like it. The reader makes a decent job of it. I should say from the outset that I haven't read Ballard chronologically, but I appreciate that this is quite an early response to the skyscraper phenomenon that informed social housing in the 1970s and might tell us a lot about why vertical living isn't doing urban communities any good. The trouble with this book is that its argument is the same that informs earlier works such as The Drowned World and later works (Crash, Millennium People, Super Cannes): bourgeois mores are a superficial veneer beneath which lurk much more primal needs and desires that any deterioration of circumstances brings to the surface. Gender roles revert under pressure to something approaching the jungle law. Class is ingrained and will always re-establish itself after some pseudo-egalitarian vacuum. Our dependence on machines, technology and concrete blunts our skills and perception until a crisis occurs. We are a naturally violent species. and the protagonist is the same protagonist in most Ballard narratives. No doubt this is well-written, sharply observed, expertly paced, but I have read this before; only the setting was different. It is very interesting though, from the point of view of our digital age, that something as banal as an elevator in a high-rise building could become the lynchpin of human resourcefulness and survival. We are now so much more gadget-dependent that Ballard's dystopian vision seems a little over-anxious and a little quaint. We have not (yet) collapsed into a primeval swamp of ineptitude or descended into some existential violence between ghetto-ised tribes of techno-societies. Very little is written now about anxieties surrounding technologies because writers fear the swift obsolescence of their plot devices (Eggers' The Circle about the googlification of the world isn't lukewarm because of his use of technology but because of limp characterisation and clumsy plotting). I listened to this in one go, driving on the interminably dull motorway from Dunkirk to Brussels, and on to Liege and Metz. I was so engrossed that I failed - this once - to get angry at the impatience and aggressiveness of Belgian drivers. Many of these short case narratives have stayed with me. Perhaps not in the complexity of the individual cases but in individual sentences or insights that illuminate human behaviour: it is preferable to be found irritating or paranoid than to be forgotten or ignored; we turn something hurtful into a joke to cloak our pain; we repeat very specific patterns because that's a coping mechanism. 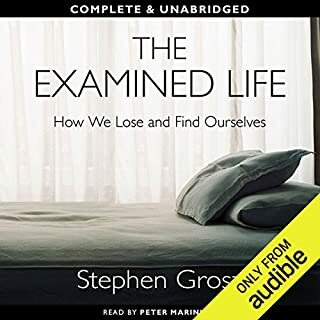 These cases are composed with such economy and concision, and narrated with empathy and warmth, that you feel you're 'there': in someone else's consulting room. A lifetime's experience of psychoanalysis must have gone into the clarity of writing and reasoning. The conclusions and insights appear self-evident and logical (none of my three examples above are evidence of rocket science), but the cases are wrapped in idiosyncratic circumstances, entangled in individuals' speech patterns and replete with pent-up emotions so that it really takes a clinicians' patience and experience to get to the heart of the matter. The art of the book lies in making something inextricable transparent. It is beautifully done, lucidly written and deeply compassionate. Those Belgian drivers: does ANYONE know why they act like this? Where do they all have to be so urgently? This was my first foray into Hiaasen territory, and I loved it, particularly in Jeff Harding's rendition. His female voices are very good for someone with such a gravelly voice. 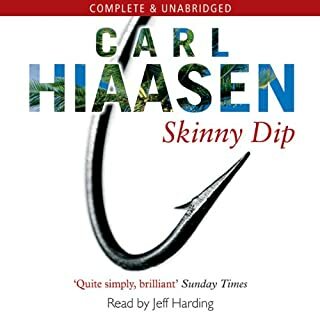 Hiaasen delights the reader with plot twists, ironic comments on Florida's social mores and protagonists who are intelligent, articulate but lovably flawed. The prose has plenty to recommend it too, not least the quasi-hardboiled wit and the wisecracks. The genre is crime fiction but the characterisations are solid and have psychological depth. This would be fabulous as a holiday read (unless you go to Florida, of course) or on a long, cold journey. Or if you're just hacked off with the rich-and-irresponsible getting richer-and away with everything. Here they don't. They get their heads blown off or at least their arses kicked. It's hard to say what does not work here. Is the translation poor? Are the sentences too elaborate and baroque? Is the difference between an contemporary Anglo-phone audience and a medieval Turkish court too wide to remain interested? Temporal and cultural distance does not prevent the enjoyment of say, Umberto Eco's work or Garcia Marquez's, though. The story begins - intriguingly - with the murder of an illuminator of manuscripts, and we expect to be taken into the world of scribes and illustrators. And so we are, but the pace of description and plotting is as slow, and the story as digressive, as the arabesques adorning the margins of medieval manuscripts. Perhaps that is the point. Unfortunately it did not hold my attention. I have no idea who killed whom and why, and I'm never going to find out: I gave up after four hours. John Lee's narration feels laboured. Certainly the editing of the chapters, with their abrupt ending and no pause between end and new chapter, makes it harder for the reader to digest the narrative. It's all a little too abrupt. 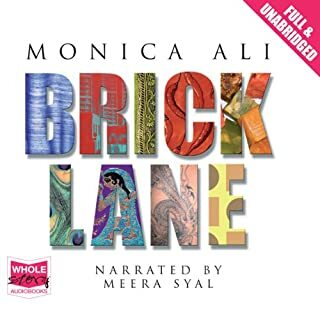 Brick Lane tells the present-day story of two Bangladeshi sisters. Nasreen is married to the older civil servant Chanu, who takes her back to London's Tower Hamlet into a life of narrow and monoglot domesticity. Hasina remains in Bangladesh and appears to make all the wrong choices in a society in which women's opportunities are curtailed on all sides. She makes a love marriage and runs away from home. She works in a garment factory, experiences violence and prostitution, finds another respectable job as a nanny with a local affluent businessman, but never gives up her dream of a better life (with a better man). Nasreen, too, sees passion intrude into her dull and safe marriage to a man who struggles with his own limitations. Will she eventually decide to return to Bangladesh with her husband or choose to stay in London with their two teenage daughters? These parallel story lines are set against the background of Dhaka and Tower Hamlets, in communities whose characters are delineated economically and beautifully. At the core of the book is not so much romance but self-fulfilment, choice, opportunity, particularly for women whether they are living in rural or urban Asian Muslim communities or as first-generation immigrants in the so-called multicultural West. How do their opportunities compare? How do they meet the crises in their lives, and how do they make their big decisions? This is not to say that the male characters' lives are any easier: in their jobs and on the estates they live they daily encounter racial and religious prejudice; young men resort to drugs and don't live up to their parents' expectations. How does Tower Hamlet's Bangladeshi community meet the prejudice levelled at them in the aftermath of 9/11? It's a thought-provoking and engaging book with memorable characters. Meera Syal's reading is very good indeed: she offers a distinct voice for each character; the narrative voice might have done with a slightly more lively touch. 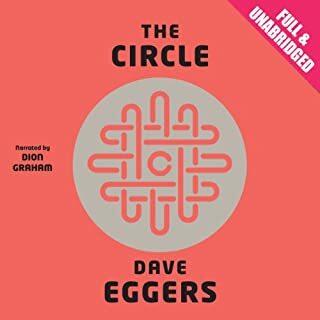 Would you try another book written by Dave Eggers or narrated by Dion Graham? The story is both relevant and interesting: what would life be like if the boundaries between work and life, public and private sphere disappeared to the extent that our existence became entirely "corporate"? The allusions to Orwell and Zamyatin are obvious, and the model for the titular company is clearly the world of Google: all the perks for workers are really means to bind them more tightly into the company and to make them work harder, to google-fy and apple-sync until there is no longer any world outside the corporate universe and all personal freedoms are yielded voluntarily. Technology becomes the new totalitarianism.And yet the story is so predictable (even the twist at the end can be spotted a mile away), and the characters so mediocre that it's actually hard to care about them. One character in particular becomes the kind of mouthpiece for authorial views that even the most rudimentary creative writing workshop (let alone editorial office!) would have told the writer to kill, modify or silence. At times I felt really quite patronised as a reader: I can think for myself, thank you.However, I can't fault the reader's performance: he did manage to make the characters distinct, and giving a voice to the criminally naive female protagonist cannot have been easy. Really well done. Would you recommend The Circle to your friends? Why or why not? No, I wouldn't. Listening to the last hour was a bit of a chore. This needed editing to fulfil its potential because there is a really good novel in there. Beats me whether the author was resistant to advice or whether it's now okay to publish plodding and predicable material because your name is already "out there" and people buy the books anyway.